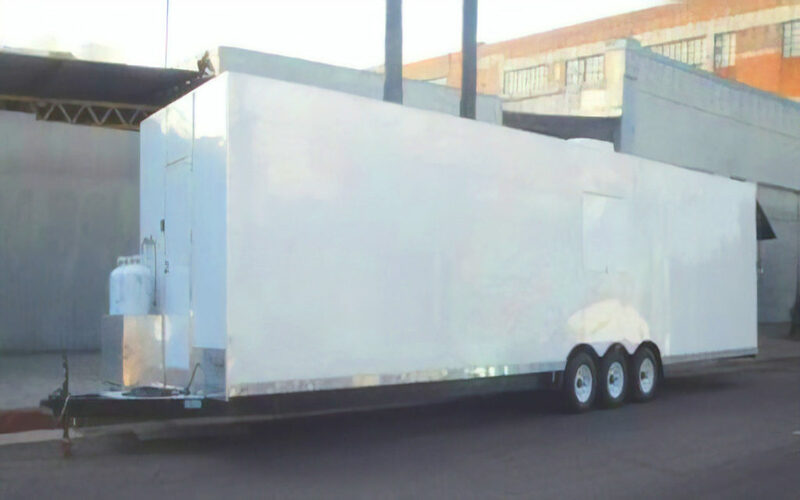 40ft Mobile Dishwashing Trailer | Free Quotes! This 40ft mobile dishwashing trailer is an all electric conveyor belt 3-phase power dishwashing trailer for rent. It is 40 ft long by 8ft wide. Power requirement is 220V, 3-phase, 150 amps. Many customers do not have 3-phase power for the high temperature dishmachine thus many prefer to use the low temperature machines like this. We have our experts available on the line to tell you more about this dishwashing trailer especially the fast drying solutions for low temp dishwashing. All dishwashing trailers need to be connected to a ½ inch water hose bib connection and 4 inch to 6 inch gray water outlet for final connection to the city wastewater line service.